Jade To Jadibutti, 1994. From the Chicago Public Library. જડે તો જડીબુટ્ટી Jade To Jadibutti, by મલ્લિકા ઠાકુર Mallika Thakkur. 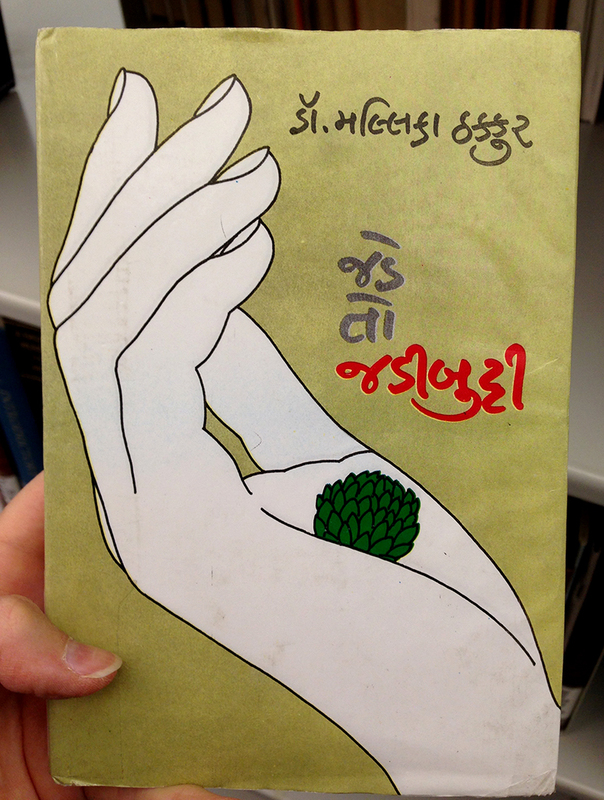 I believe that this is an Ayurvedic medicine-related book. I wanted to post this because — doesn’t the style of this book cover look so Japanese? Am I imagining it?